Snow blowers, snow shovels, snow plows & snow rakes! They are the words of the month. Sleet, rain and distant thunder (today) have been added to the mix. 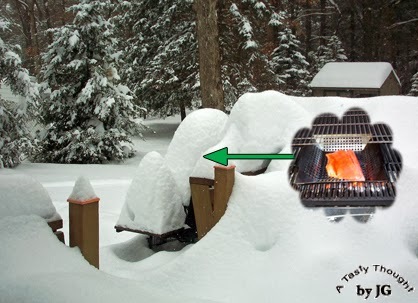 However, whenever I look outside at our snow covered grill, one thought comes to mind while day dreaming. Grilled Sockeye Salmon! Much snow has melted in the last day, but grilling is still only a dream! When the weather get warmer we will Enjoy! A bowl of hearty homemade soup on a cold winter day! Sometimes, it's the perfect food for dinner. It sure is if & when you feel a bit under the weather. Ah, Minestrone Soup! Earlier this AM, I could see a pot of colorful nutritious veggies simmering in chicken broth on my stove. That brought me to my pantry to locate the cans of chicken broth, the canned tomatoes & the kidney beans. Spinach & green beans were in the freezer, with carrots in the fridge, so I was definitely good to go! It's been a while since I've made a pot of Minestrone Soup. It's also been a very long time since I've had the "common cold" (that seems to be lasting forever right now). So glad that I always get the yearly flu shot! The "common cold" is unpleasant enough. About an hour ago my Dutch Oven pot & cover were located and I was on my way to make a batch of this easy, yummy hot hearty soup! Woohoo! 1 lb. Carrots - peeled & cut into slices or "baby carrots"
Drain Kidney Beans. Rinse in cold water & drain. Repeat again. Place Kidney Beans in large pot. Add the remaining ingredients into the large pot. Reduce heat & simmer for 1 hour. Carrots & potato chunks should be tender. Place in bowls & enjoy. Remaining portions can be placed in freezer containers & into your freezer they go to enjoy on another cold winter evening. **When reheating, add 1 can (14.5 ounce) Light & Fat Free Chicken Broth. 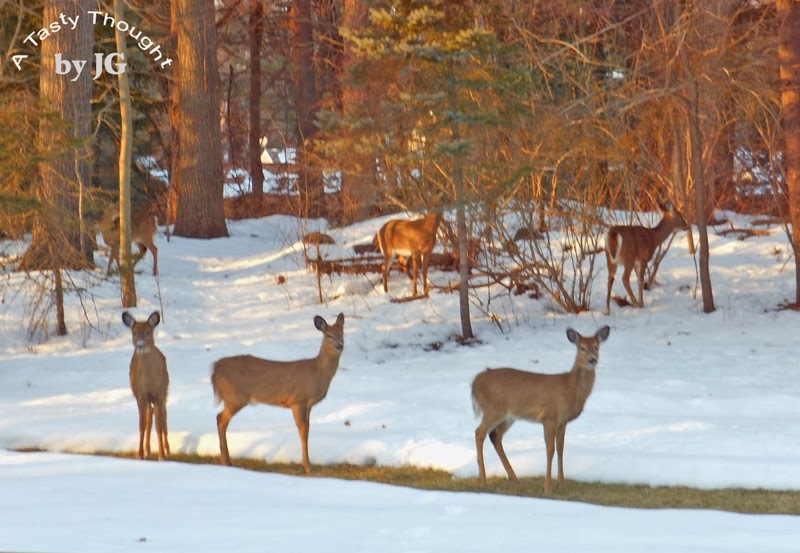 With a little more snow predicted for tomorrow, "Oh no!" this just may be a repeat dinner tomorrow evening! 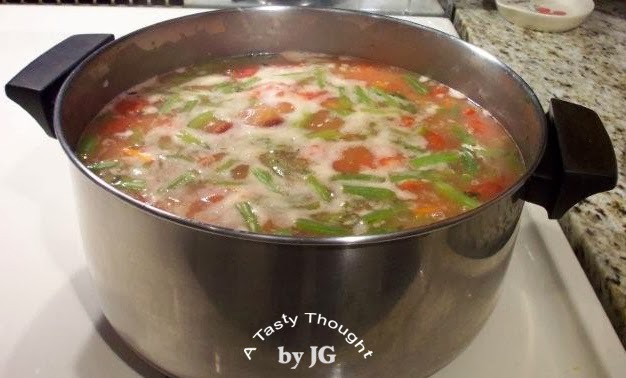 Minestrone is an easy nutritious yummy soup to make. I usually have the ingredients in my well stocked kitchen. Do you keep these ingredients in your kitchen? "Totally awesome!" 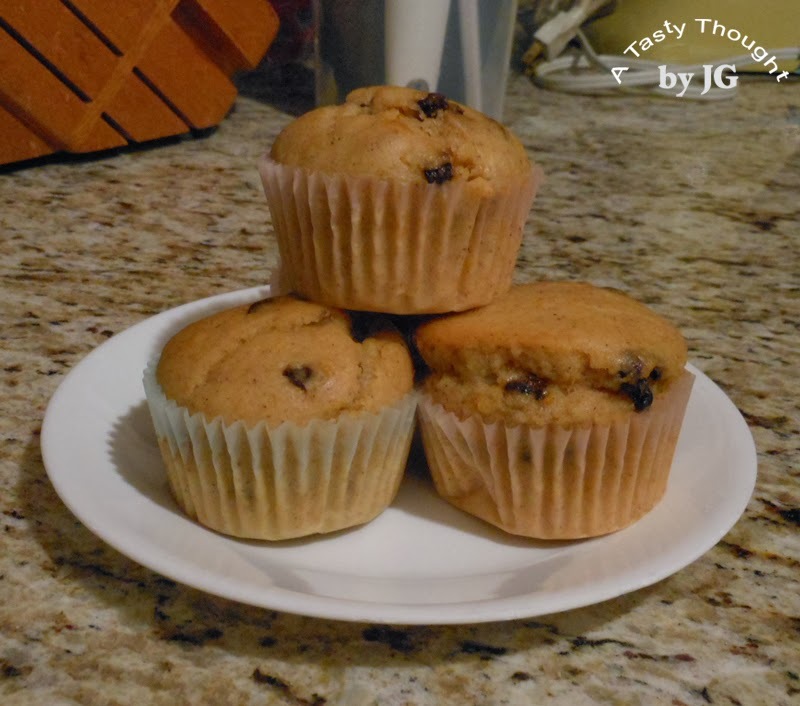 was the review of a warm Butternut Squash Muffin after it had cooled for about 20 minutes. There has not been much baking going on in my kitchen this past 21/2 weeks. My "common cold" did not feel ordinary to me! Friday evening at dinner we enjoyed Baked wild caught Sockeye Salmon, Butternut Squash along with a Baked Potato. Planning ahead, I'd saved 1/2 cup of the Butternut Squash before it was even placed on our dinner table. I had plans! All I could envision was a batch of Butternut Squash Muffins - with currants. On Saturday my kitchen was filled with the aroma of Butternut Squash, Cinnamon & Nutmeg. It took little time to place 12 golden muffins on the cooling rack. Before I knew it, 11 muffins remained. A warm muffin is a fave with my DH. 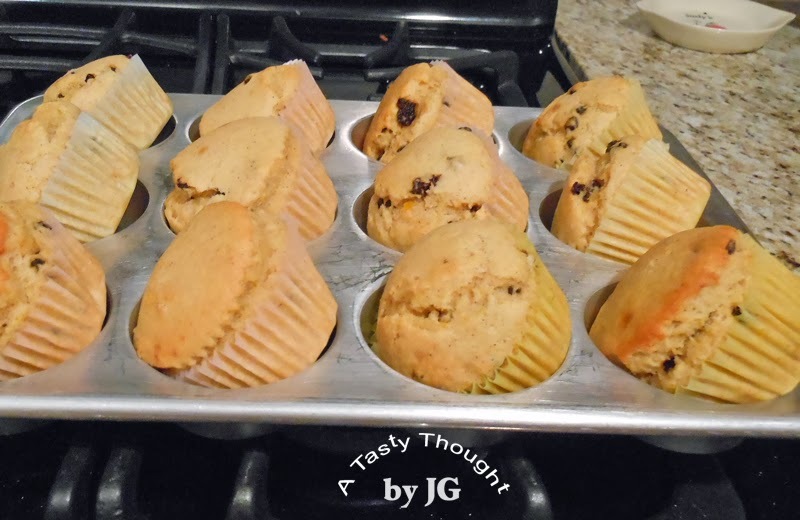 After taking pan out of oven, I tip the muffins in the pan. Then remove them to place on a cooling rack to cool. ***Egg Whites, Soy Milk, Olive Oil for baking & sauteing are always ingredients in my muffin recipes, any time of year. 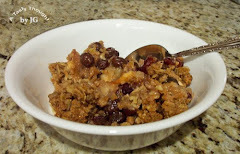 This recipe keeps in with the theme of Heart Healthy February! It's easy, yummy & moisty! The addition of Currants = Yum! If & whenever you have a 1/2 cup of Butternut Squash, bake a batch! Better yet, if you have 1 cup, bake a double batch & freeze most of them to enjoy later. ***Yes, Pumpkin can be substituted for the Butternut Squash! Bake 20 - 22 minutes in 400°F oven until muffins are lightly browned on top. Tonight, Butternut Squash was the veggie at dinner. After all, it is a fave veggie here! Can you guess what is now waiting in our fridge??? Much Snow is forecasted for Thursday. Our snow blower will get more exercise! 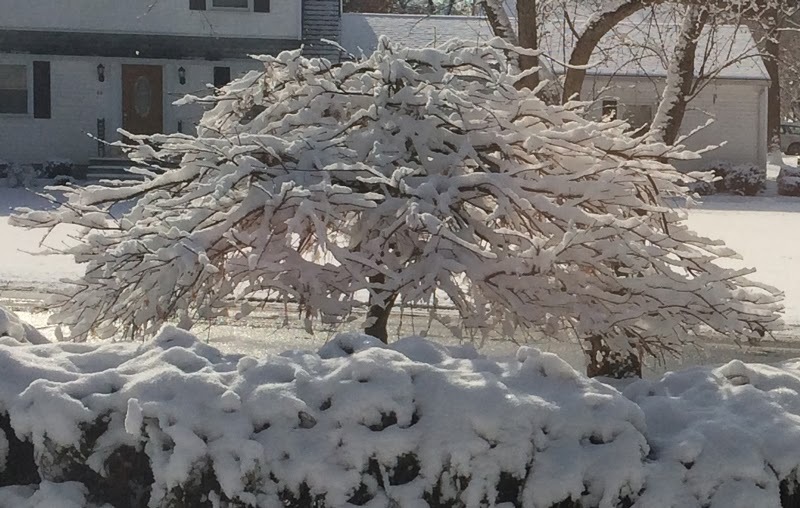 This AM the Laceleaf Maple Tree in our cut-out glistens in the sun after yesterday's snowfall. This beautiful sight will change again tonight/ tomorrow as more white powder falls. We're enjoying the view today. Tomorrow our snow blower gets some exercise!